Aeromat Plastics was established in 1968, and is excited to be celebrating 51 years in the plastics industry! We proudly provide high quality complex machining, fabrication and plastic distribution services. Plastic fabrication is so much more than just welding, it's an art form that takes years to perfect. We have the experience and know-how to take on even the most complex welding projects. We take years of material knowledge and blend it seamlessly with the craftsmanship of high quality, close tolerance plastic machining. We also understand price and lead time are king, and strive to offer you the best lead times around. 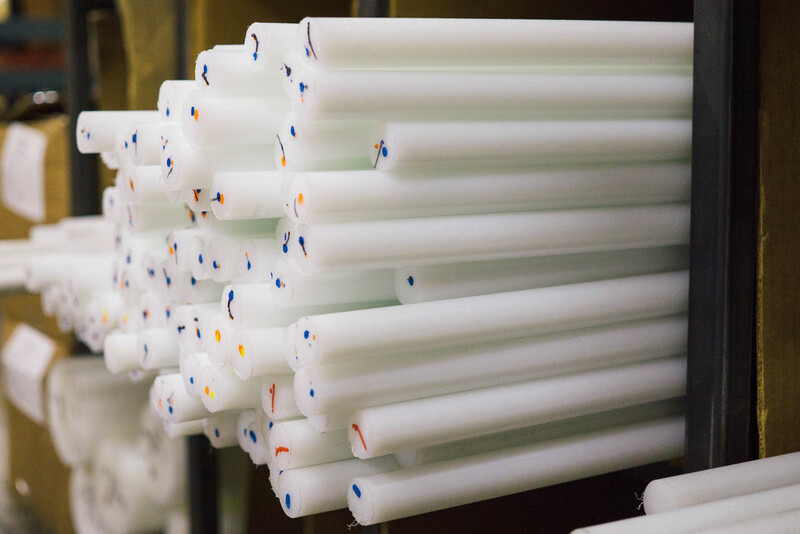 Aeromat Plastics is your go-to resource for plastic distribution. We carry a wide variety of materials from common to exotic. We will help you select the right material for any application, and cut-to-size according to your exact specifications.